We believe in flexibility for parents: flexibility in trying other tutoring centres and flexibility in taking holidays and days off. There is no contract, pay per term, commitment period or cancellation fee. We provide credits and refunds for unused classes. Simply, we provide quality education to fit almost any budget. Compared with other tuition centres, we provide education at a savings of 20 – 70% per hour. We believe that quality education should be fair and affordable. We provide a supportive learning environment and a fully-stocked kitchen for our students. We are always open to discuss and provide feedback on your child’s progress and academic needs. We believe that a supportive, nurturing environment helps students learn. Our classes include feedback from our tutors and an individualised approach to help your child succeed. We provide in-depth lectures and course-specific study guides. We help students outside of class time by providing free examination preparation and providing individualised help. At Au Academy, we refer to our “teachers” as “educators,” not so much because the terms are synonymous but because we believe our educators are specialists in the field of education. Our educators refine our students’ thought-processes in addition to imparting skills, knowledge and understanding. As educators who are passionate about the exciting world of learning, we believe that students whose minds are stimulated by a rich environment perform better than their peers. On a global stage, our former students have ranked in the 90th – 99th percentile of students in the world. At Au Academy, we believe in achieving excellent results. We ask that our educators have the ability to motivate and inspire our students in order to develop their love of learning. We believe that providing a positive atmosphere helps our students learn. We believe that teacher-student engagement is necessary for active and positive learning. We provide an atmosphere which encourages our students to reach their highest potential. Our educators work with our students to develop an environment of active understanding. We have an amazing team of strong, experienced and inspirational educators. Madeleine is one of our finest (and nicest) tutors. She is both energetic and engaging. Her students understand difficult concepts because she breaks it down for them. Her proudest achievement? Teaching a Year 1 student to read in less than one (1) hour! Don’t believe it? Just ask the delighted parents! 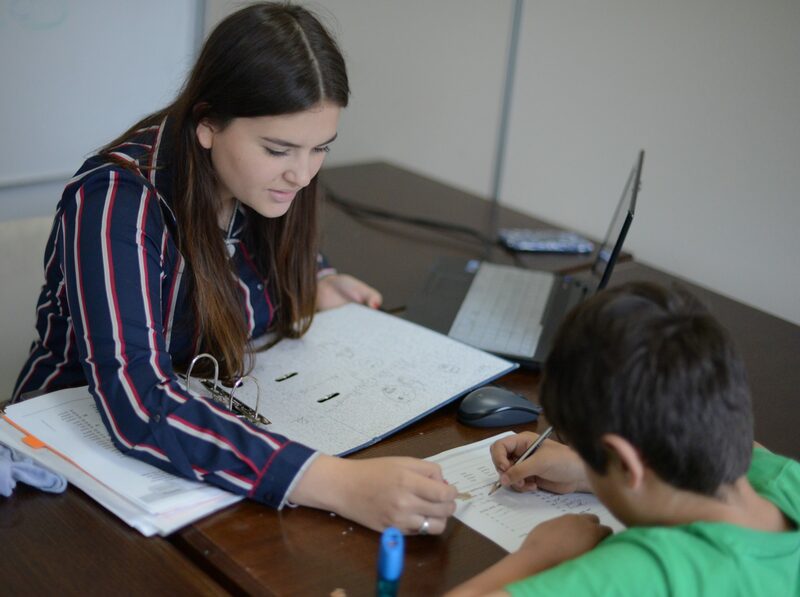 Yalinna is one of our friendly maths tutors at Au Academy who cares deeply about every student’s learning. She is currently in her fourth year of studying a Bachelor of Medical Studies and Doctor of Medicine at the University of New South Wales. She loves to show students that maths can be simple and enjoyable for everyone, so you will often find her making endless (and often bizarre) analogies to get a point across. Darian is (hands-down) one of our most popular tutors. He takes time to get to know each one of his students and relates to them before he ventures on to teach them the topics. 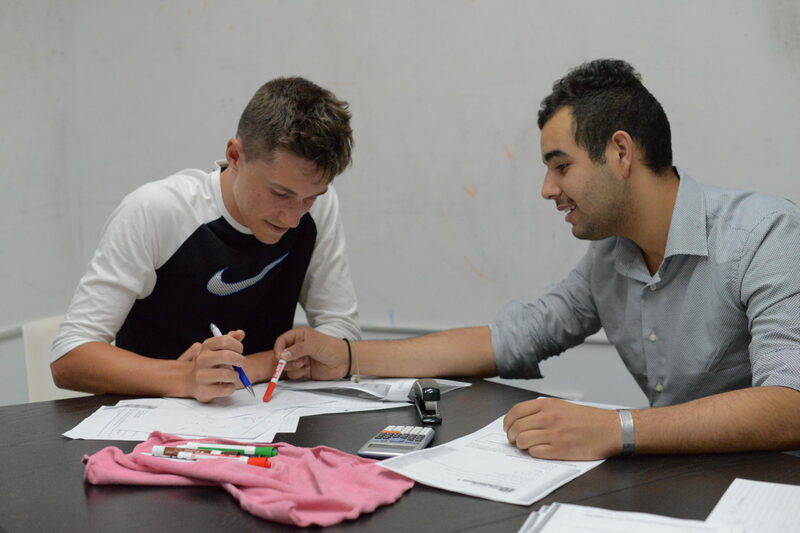 Darian teaches our Advanced Sciences and Maths classes and is a Senior Educator. Students are all left Daz-zled after his classes. Meet more of our Educators here. Open access to a computer laboratory for research, studying and class assignments. A wealth of culled resources and materials to enhance student learning and understanding. Dynamic learning environment with write-able walls and interactive projectors. Technology courses in computer programming. We provide a safe, quiet study environment. Our classrooms are equipped with writable walls, projectors and classroom laptops with internet access. We offer free printing services and access to a fully stocked kitchen. We generally respond within 12 hours or less. However, we have been unable to receive emails from 17 December 2018 – 1 January 2019 due to email server issues. Please resend any enquiries and we will respond within 12 hours. Thank you!